So you’ve found your dream home. Congratulations! The home-buying process can be exciting, but it can also be confusing at times. 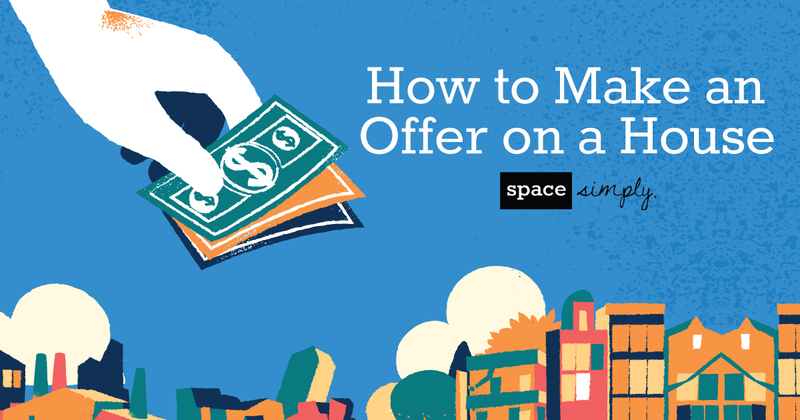 One question we get a lot from first-time homebuyers is how to make an offer on a house. While this process can vary from situation to situation—and often from state to state—we’ve done our best to simplify it and give a comprehensive overview of the offer process. When you make an offer on a house, you’re providing the seller with more information than just what you’d like to pay—you’re also going to tell them how you’re going to pay, when you’d like to take possession of the house and sometimes make additional requests or contingencies. As any good agent will tell you, the list price is typically just a starting point. You and your agent should work together to come up with your offer price, based on a comparative market analysis (comps) of the area. In a market where demand is high and inventory is low, you may even offer more than the asking price. In a market where demand is low and inventory is high, you will more than likely offer less than the list price. Your agent’s expertise comes in handy when deciding exactly how much to offer. Every offer has an expiration date, and depending on where you live and how hot the market is, that expiration date could be hours or days. Your agent will help you determine what is appropriate, but typically the hotter the market, the smaller the window. This offer will also include a suggested close date—the date you want the process to end, and for the house to officially change ownership. It’s important for the sellers to know that you have secured financing in advance. Additionally, there’s a good chance you’ll be asked to write a good faith check, or “earnest money.” If/when the seller accepts your offer, that money will be placed in your escrow account and be used toward your down payment. Your agent will help you determine how much earnest money to put down. If an inspection comes back with really bad news or your financing falls though unexpectedly, you’ll want out of the contract without losing your earnest money. Talk with your agent about including contingencies in the contract to protect you against unforeseen issues. If the seller is happy with your initial offer, they’ll simply accept, and you’ll move forward with the next steps of purchasing your new home! Unfortunately, some offers get rejected. But this is rare, and your agent can help you avoid this situation by drafting up a reasonable offer. Often, there’s a little (or a lot of) back and forth before both parties reach an agreement. Maybe the seller wants more money, or they’re not willing to part with that 65" TV you asked them to leave in the basement, or the closing date you chose doesn’t work for them. These—and a thousand other—scenarios could produce a counter offer. Now the ball is in your court, and again, your agent will help you navigate this back and forth until everyone is happy, or one party walks away. The home-buying process can truly be a rollercoaster of emotions. The good news is that when you’re ready to buy a house, we’re here to help you navigate all the ups and downs. Let’s get started today! Contact us with a quick note or give us a call at 515-423-0899.